We provide high quality photography products and services. We do Business, Products, Events, Newborns, Children, Underclass, Seniors, Couples, Engagements, Weddings, Families, Maternity, Pets, Copy, Restorations and More. What do you want photographed? 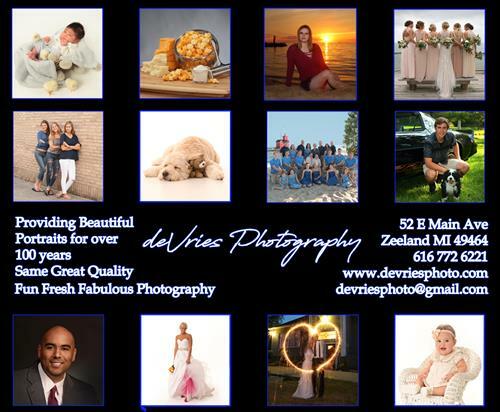 We have one of the few indoor studios around the Holland/Zeeland areas with the option for indoor or on location photography. We were voted Holland Sentinels Best of the Best in Photography 16 years in a row.